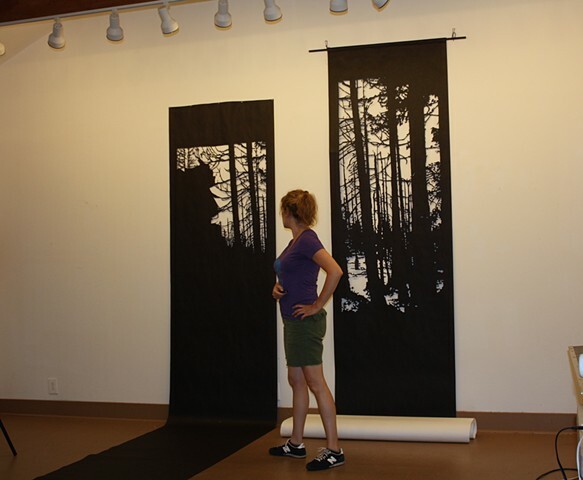 Paper cutting and working with paper goes back to the earliest parts of my artistic practice. 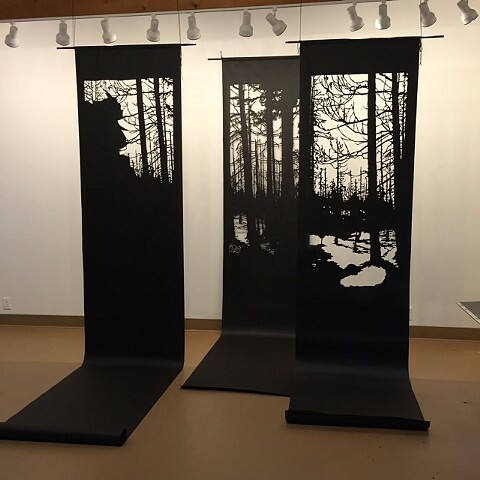 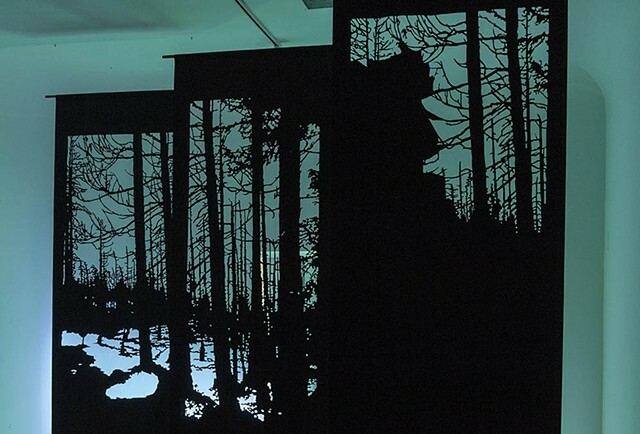 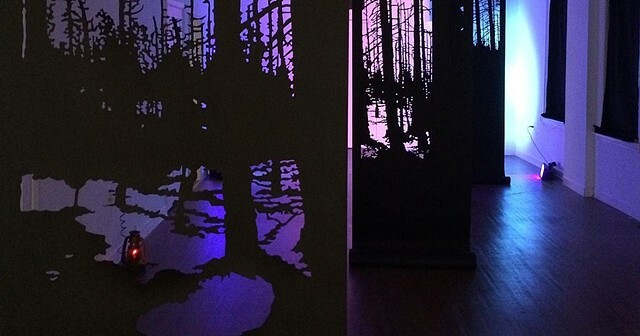 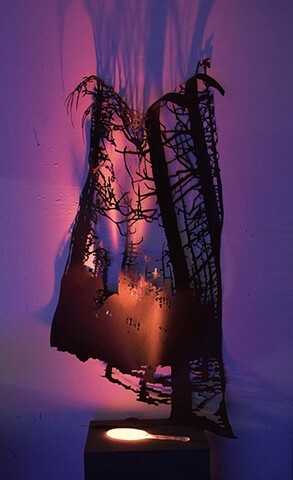 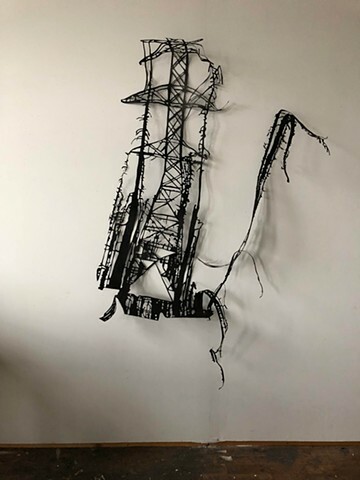 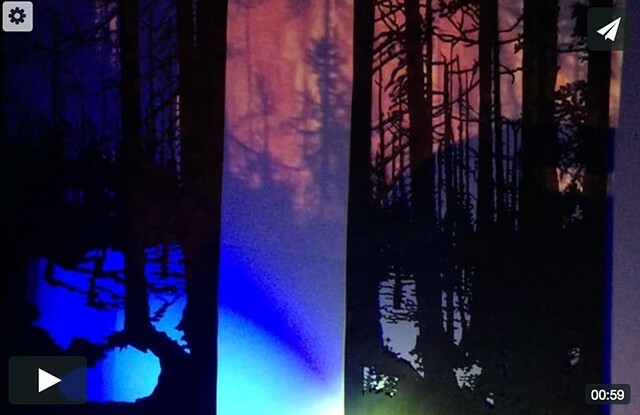 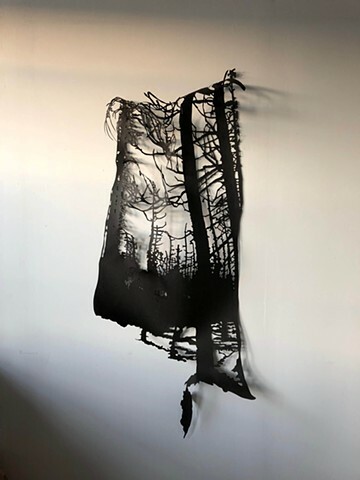 I have been using roofing felt as a medium and cutting large-scale silhouettes of Yellowstone's trees after devastating wildfires. 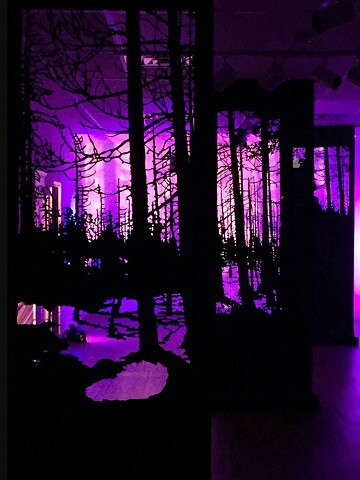 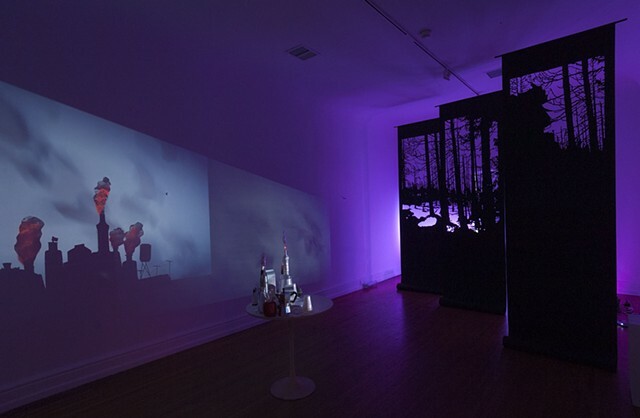 These images are used like theater flats, lit from behind to create environments that viewers activate by walking among and through.